In 1876 Vincent van Gogh was sacked as an art dealer—and his concerned parents then came up with various ideas about what he should do. He had been working as an art dealer for the Goupil gallery in Covent Garden and his mother Anna suggested that he might work “in one or other museum in London”. His father Theodorus proposed that he should open “a small [commercial] gallery” of his own. Three years later the family was still searching for a career for their eldest son. 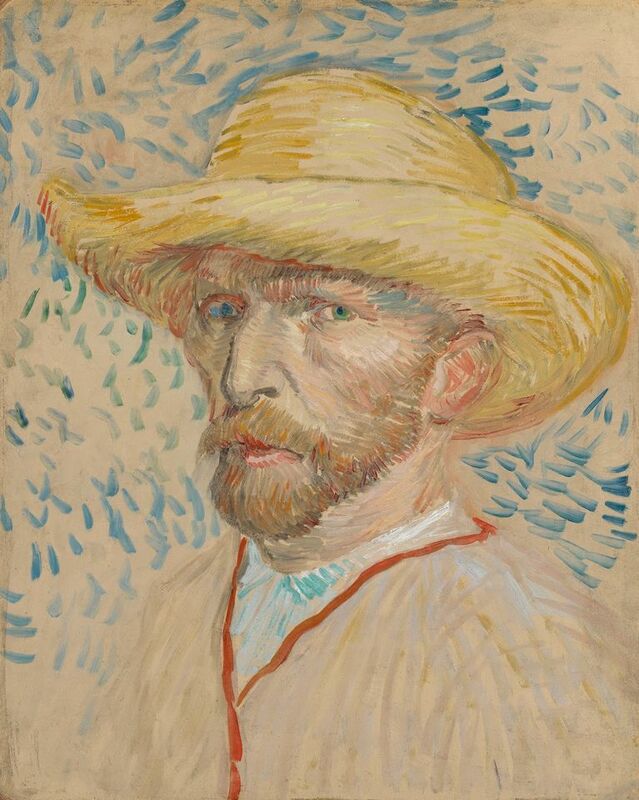 Vincent’s sister Anna and brother Theo advised him to seek work as a baker or a bookkeeper. However, he would hardly have made a success of baking, since he was a terrible cook. When Gauguin stayed with him in the Yellow House in Arles, he found his host’s food inedible—particularly the soup. “I don’t know how he made the mixture—without doubt like the colours in his paintings... we couldn’t eat it”, Gauguin later complained. Accountancy seems an equally implausible profession since Van Gogh was completely inept at handling money. In Arles, the allowance he received from Theo amounted to 240 francs a month, nearly twice the earnings of his friend the postman Joseph Roulin, who had a wife and four children to feed. Despite Theo’s largesse, Vincent was continually running out of money and asking for credit in local bars. Amongst Vincent’s own crazy ideas was to enrol in the French Foreign Legion and serve as a soldier in North Africa for five years. Theo responded, with something of an understatement, that he didn’t feel his brother really had “a taste for this profession”. None of these unlikely vocations seemed suitable, so Vincent ended up an artist—although one whose great success came too late to support him. First paragraph: Anna to Theo, 17 February 1876 (Van Gogh Museum archive, b2741) and Jo Bonger, introduction to the published letters, p. xxvi. Second paragraph: Letter 154 (11-14 August 1879) and Gauguin, Avant et Après, 1923, p. 17. Fourth paragraph: Letter 154 (11-14 August 1879) and Theodorus to Theo, 7 May 1877 (Van Gogh Museum archive, b959). Fifth paragraph: Letter 766 (2 May 1889). I will be speaking on my new book Starry Night: Van Gogh at the Asylum at the National Gallery of Ireland, Dublin on 20 September, the Cheltenham Literary Festival on 5 October and the National Gallery, London on 20 November.